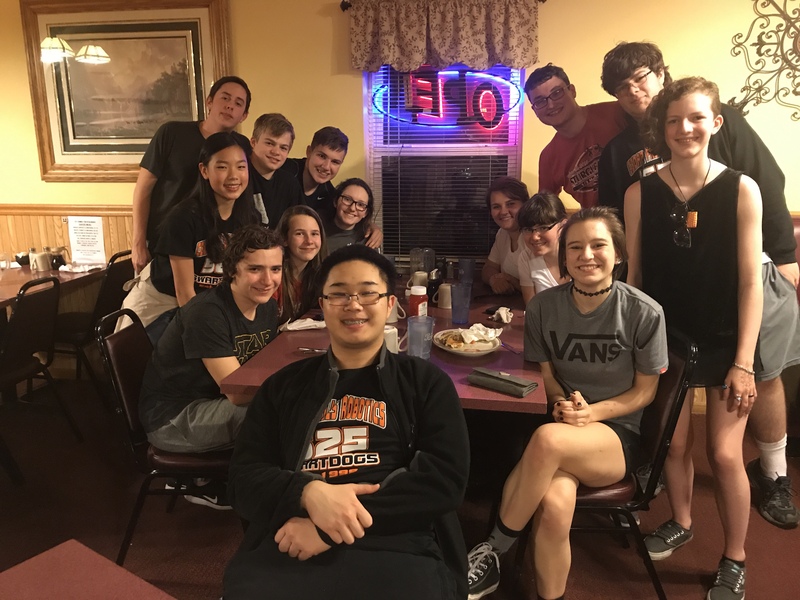 During the month of April, FIRST Robotics Competition team 525 Swartdogs spent the month helping others and team bonding. 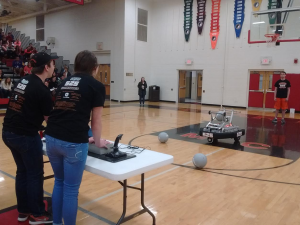 We travelled to Union High School to help team 6630 F.U.N. find ways to raise money in order to go to the St. Louis Championships. We donated pop bottles to raise money towards them travelling to the St. Louis Championships. We ended the month by demonstrating at our school’s award assembly. 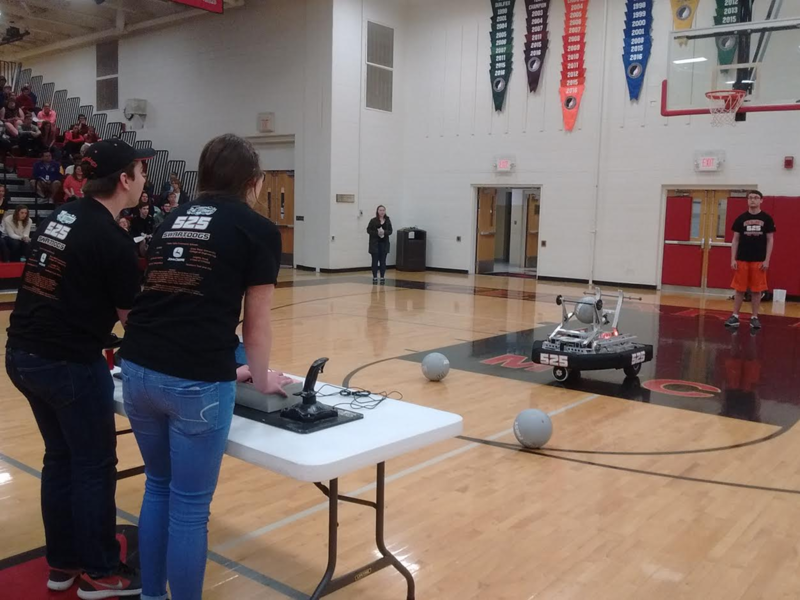 We demonstrated our 2016 robot, Cricket, and explained what our team did this past season. Throughout the month of April, we had many of team bonding activities. Also, we invited new members for the 2017-2018 season to join the team.